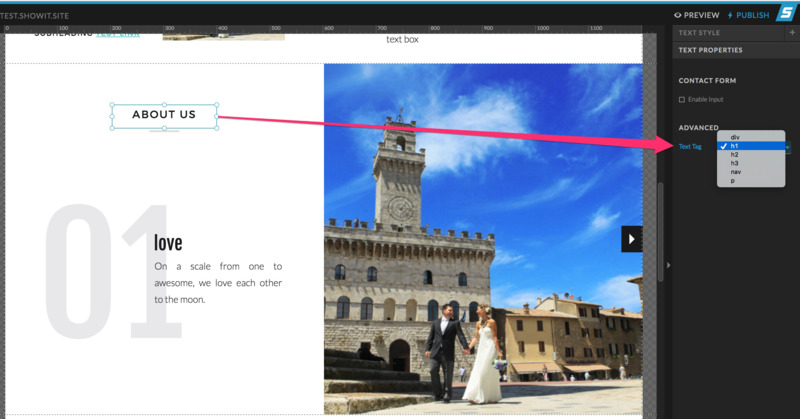 Learn how to adjust the html tags like h1, h2, nav, p associated with your text. When a text box is selected you'll find the option to change the Text Tag under the Text Properties section. This setting is automatically applied in conjunction with the text style you set when first adding the text box (or when the designer created it). See below for how these are automatically applied. Why should I care about this setting? Search engines use the headings to index the structure and content of your web pages. This helps them better understand the information found on your site. <h1> headings should be used for main headings, followed by <h2> headings, then the less important <h3>, and so on. How should they each be used? 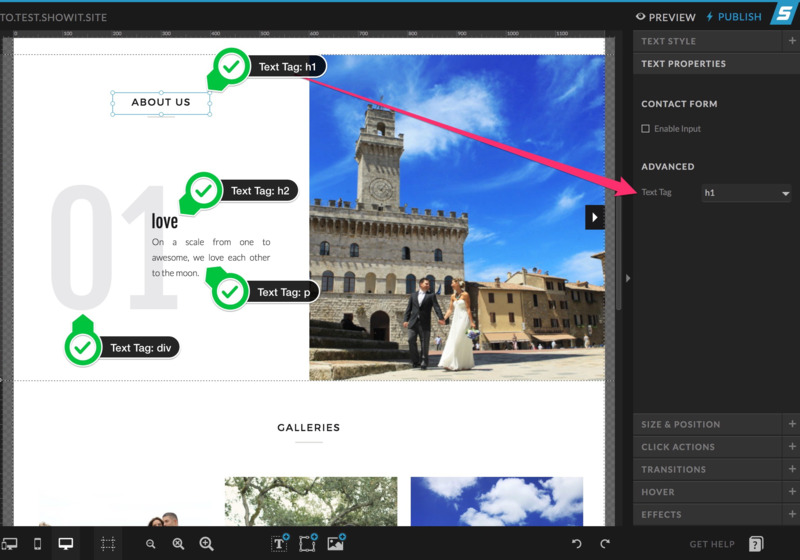 When you add a text box to Showit, it will automatically have a text tag applied to it based upon which style you choose when you first added the text box. Here are how the text tags are applied.